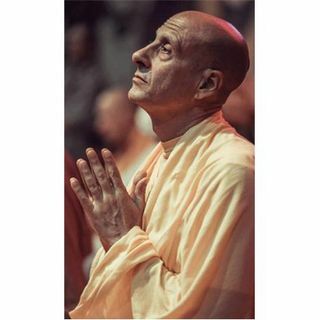 Radhanath Swami was born in Chicago and, at the age of seventeen, traveled from Amsterdam to India, where he lived in Himalayan caves, learned yoga from revered masters, and eventually became a world-renowned spiritual leader. His acclaimed memoir, The Journey Home, has been published in over forty countries worldwide. Radhanath Swami presently travels in Asia, Europe, and America teaching devotional wisdom, but can often be found with his community in Mumbai, where he works tirelessly to ... See More help develop communities, food distribution initiatives, missionary hospitals, schools, ashrams, emergency relief programs and eco-friendly farms. His new book is entitled, The Journey Within. Visit www.radhanathswami.com.